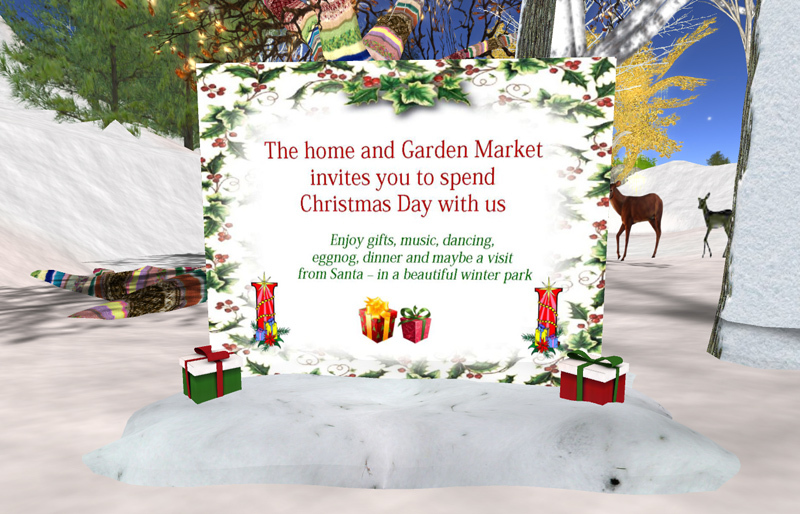 The Home and Garden Market are holding Open House (or should hat be Open Market) this Christmas. The Market has created a special area where they have eggnog, champagne and gifts from designers under a lovely Christmas tree, all part of an attractive Christmas park at the Home and Garden Market where you can relax, dance, chat with friends around a fire, or even enjoy Christmas dinner at one of the tables (you might want to wear thermals for that – there’s a lot of snow about! ).